Amid the fireworks, picnics and concerts happening over Independence Day, many Bay Area residents are also looking to explore the great outdoors. Here are five accessible hikes that also provide opportunities to learn about science, nature and the environment. 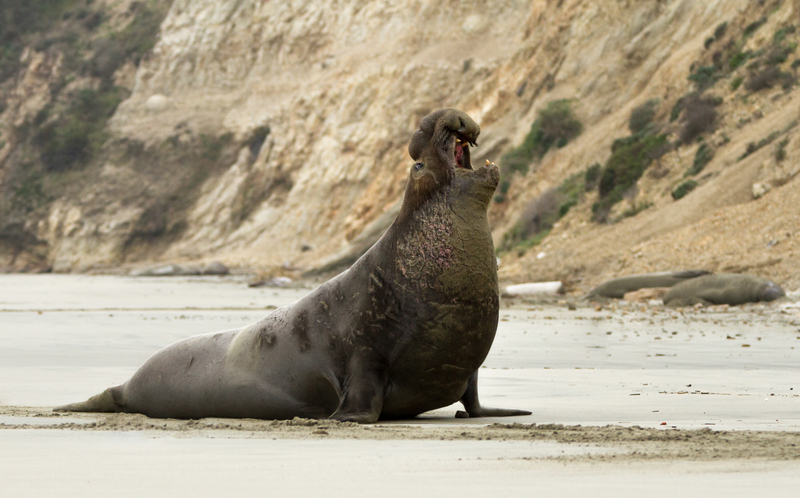 Although they spend much of their lives in search of food at sea, elephant seals come ashore to molt in the summer months. Early July is a great time to see thousands of seals on land, shedding last year’s skin and hair. To observe the seals, you'll need to acquire a free permit at the entrance station, between 8:30 a.m. and 3:30 p.m. Follow the Año Nuevo Point Trail to the coast. Along the way, you will cross over sand dunes, through a stand of Monterey pines, and past a five-ton ship hull - all that remains of a schooner that wrecked here in 1913. 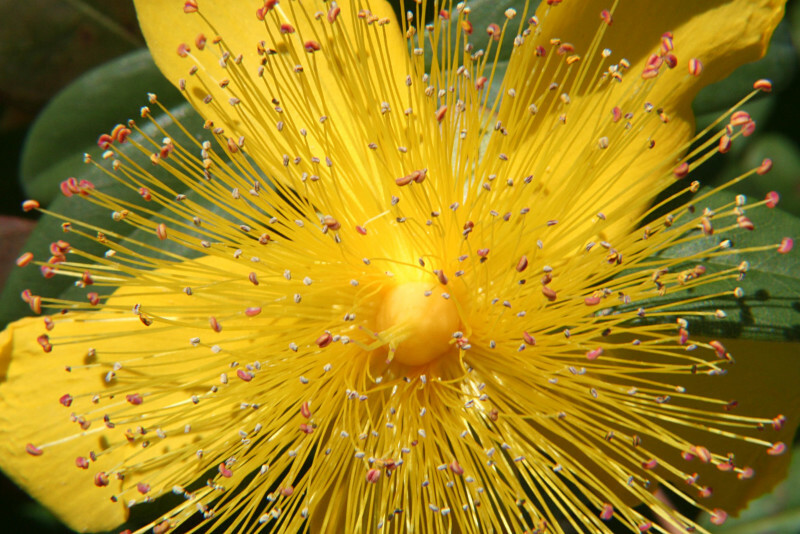 You may also encounter a variety of birds and the occasional garter snake. Hike Difficulty: Easy (less than 1 mile, 1 hour round trip). 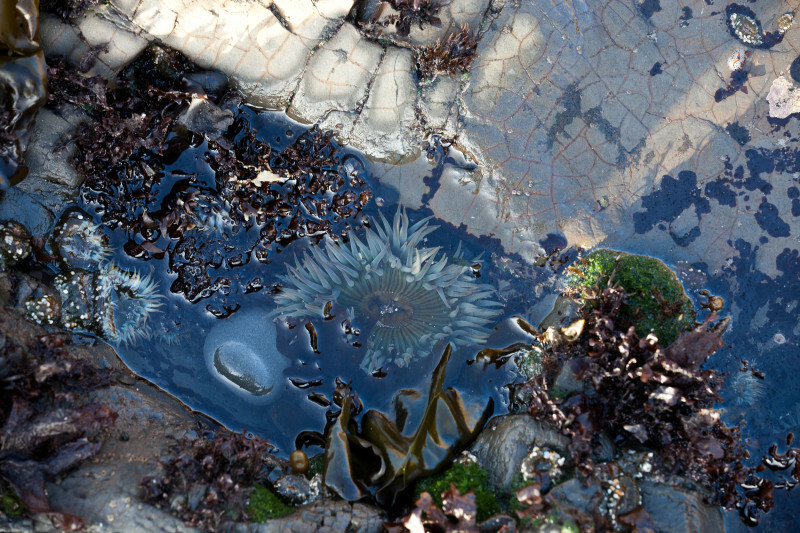 California's intertidal zone is home to a variety of marine animals, including snails, barnacles, limpets, crabs, anemones, urchins and sea stars. But these animals are best appreciated at low tide, when the rocky pools are exposed and accessible from the beach. Plan your visit to arrive at the north end of the Fitzgerald Marine Preserve within an hour of low tide. If tides are high when you visit, you can still explore the bluff-top trails, or walk to Pillar Point for more coastal scenery. 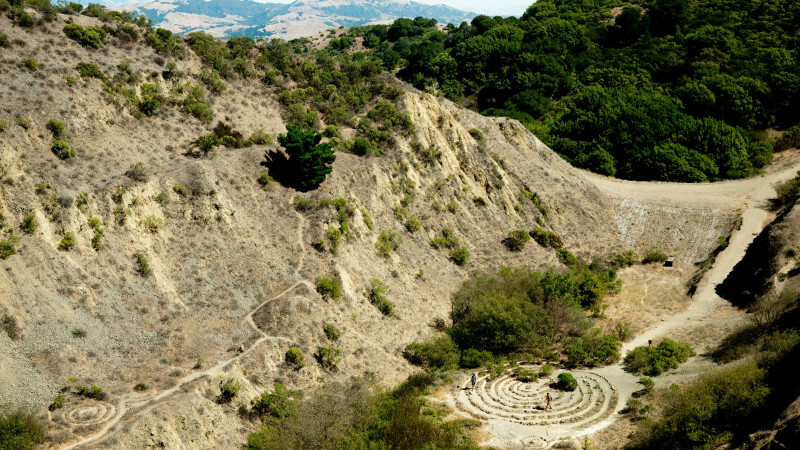 The area also has unique geology, including the San Gregorio fault and dramatic curved features called synclines, where rock layers have been folded, bent and eroded with time. Redwoods are the tallest trees in the world, often exceeding 300 feet. They are also among the most resilient. Compared to other trees, redwoods have thick bark with little oil, which makes them less likely to catch fire. They can also absorb water directly from fog, allowing them to survive dry spells with little rainfall. Even so, California's current drought may be taking a toll on these iconic trees. 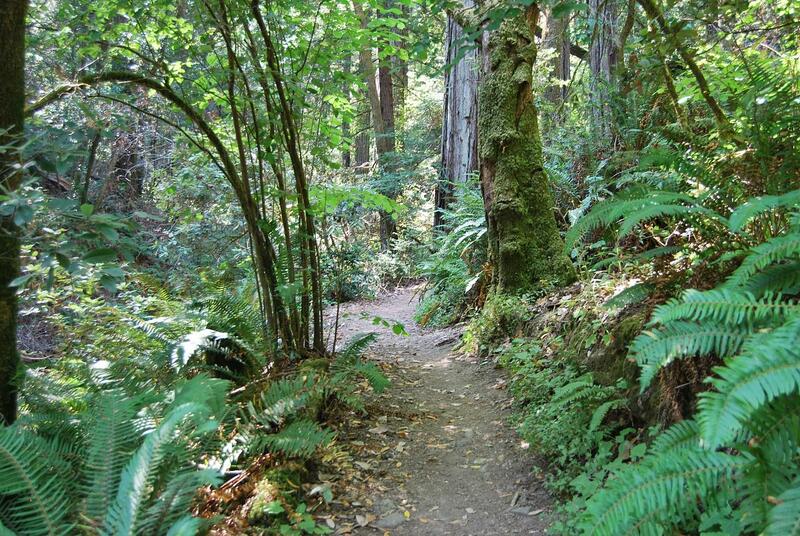 Visit the Pioneer Tree Trail for a shady walk through a fern-filled grove of old growth coast redwoods. You can make a loop by including a half mile of the paved Cross Marin Trail, which follows the historic North Pacific Coast Railroad. Afterwards, cool off with a swim in Lagunitas Creek. The ridge above the east bay is home to an ancient volcano. Now it is one of the highest peaks in the area, but 10 million years ago, Round Top volcano spewed forth most of the lava that underlies the Berkeley hills. Since then, tectonic forces have uplifted the area and forced the volcano on its side. And in recent times, a quarry exposed the very heart of the volcano, exposing its unique geological history. Sibley Volcanic Park visitor center has a brochure with a self-guided tour that highlights the area's geology. Hike through a sequence of sedimentary and volcanic rocks on the Round Top loop trail, while enjoying beautiful views of the Bay and Marin County. You can also explore the mysterious labyrinths at the bottom of the volcanic quarry. And bring Fido – this hike is dog-friendly. Wetlands provide important habitat to hundreds of species of invertebrates, fish, birds and mammals. They are also one of our most threatened ecosystems: about 85 percent of the bay’s original tidal marshes and shorelines have been developed or altered by humans. 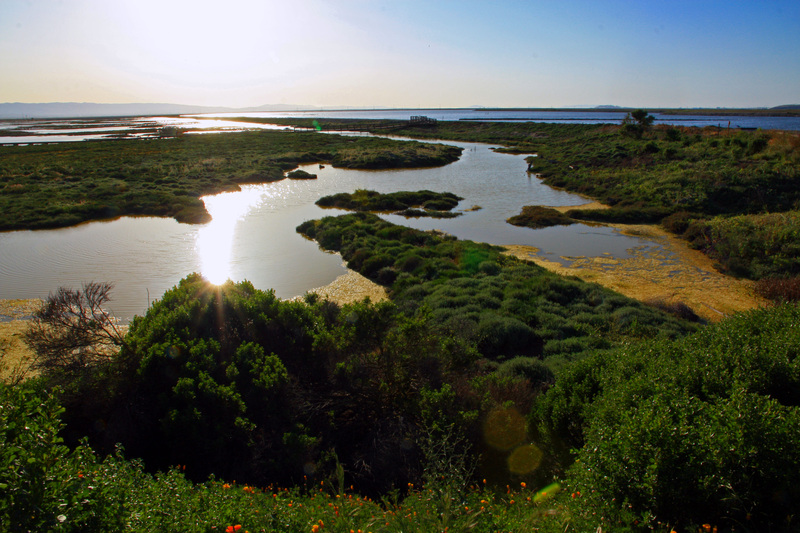 The Don Edwards San Francisco Bay National Wildlife Refuge is the nation’s first urban wildlife refuge, occupying 30,000 acres in the South Bay. Start your tour near the Visitor Center in Fremont, where you can rent binoculars and family birding packs. Follow the Tidelands Trail through ponds, sloughs and marshes that are home to birds like herons, plovers, sandpipers and avocets. Feel like going farther? The refuge has over 30 miles of trails, many of which also allow bikes. Check out QUEST's regional science hikes for more ideas. Know other great science-themed hikes? Let us know in the comments!